One of my favorite things from the One Room Challenge is these amazing blue and white botanical prints that Jennifer from The Pink Pagoda created for Linda (Calling It Home)'s family room. They are available in her Etsy store as a pair, three, or four. Aren't they wonderful? 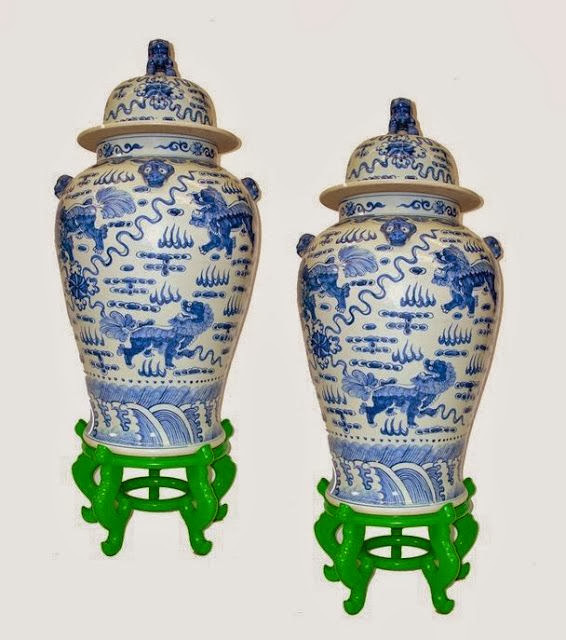 They would work well in an entryway, dining room, living room, or bedroom as well. 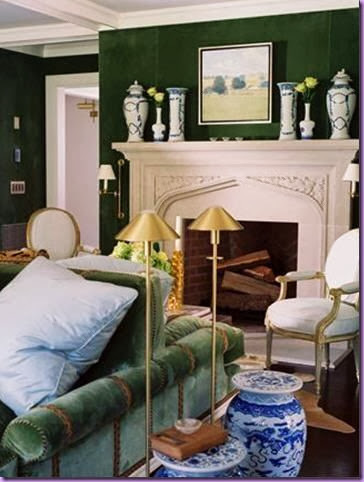 I created an inspiration board using the set of four with a green Parsons table, a pair of ginger jars from The Pink Pagoda and a stunning green glazed vase from The Pink Pagoda. 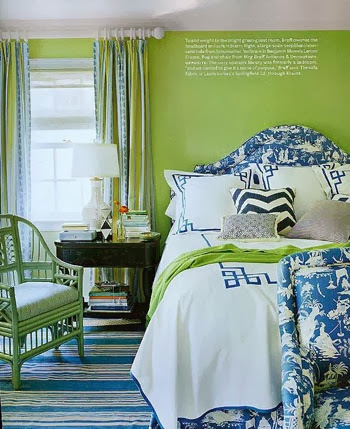 Here is more of this combination I adore - green with blue and white Chinoiserie. This green is getting me in the mood for Christmas decorating. I can't wait. 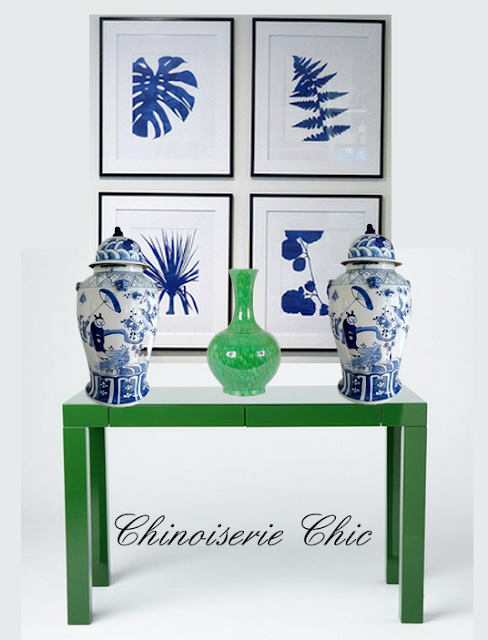 I am planning a huge upcoming series on decorating your home for the holidays with Chinoiserie. Gorgeous rooms, and I have to agree. Jennifer of TPP has outdone herself as always! 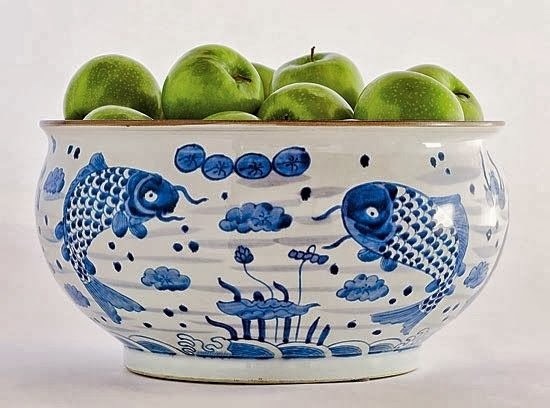 I also like the green touches with the blue and white! I am in love with the prints, too. And now I want a sleek green table instead of the credenza that I have. 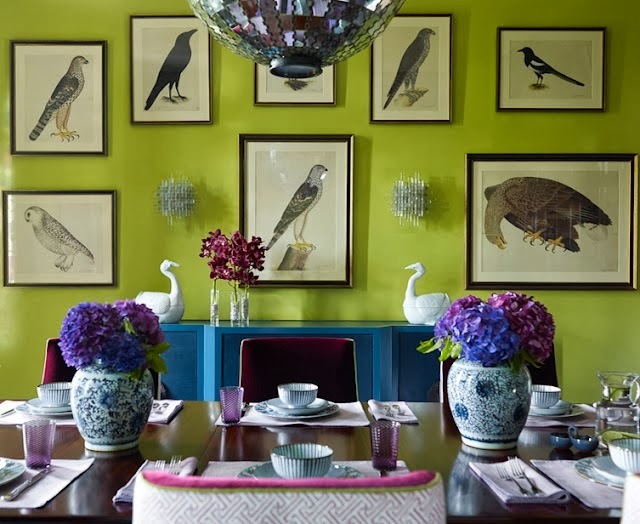 Darn you and your inspiration boards, they keep me wanting to change my home.......again. P.S. I think Jennifer is creating a green version of the prints...can't wait to see how you style those. 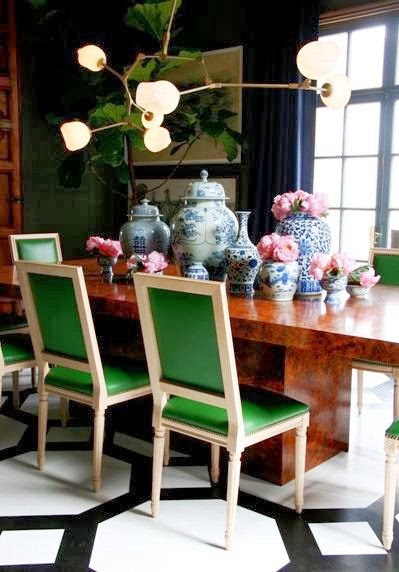 They look INCREDIBLE with the green parsons table. LOOOOOOVE. Thanks for featuring them! And the jars, too! Those jars are so very pretty in person. I absolutely love the green and blue. They are perfection!